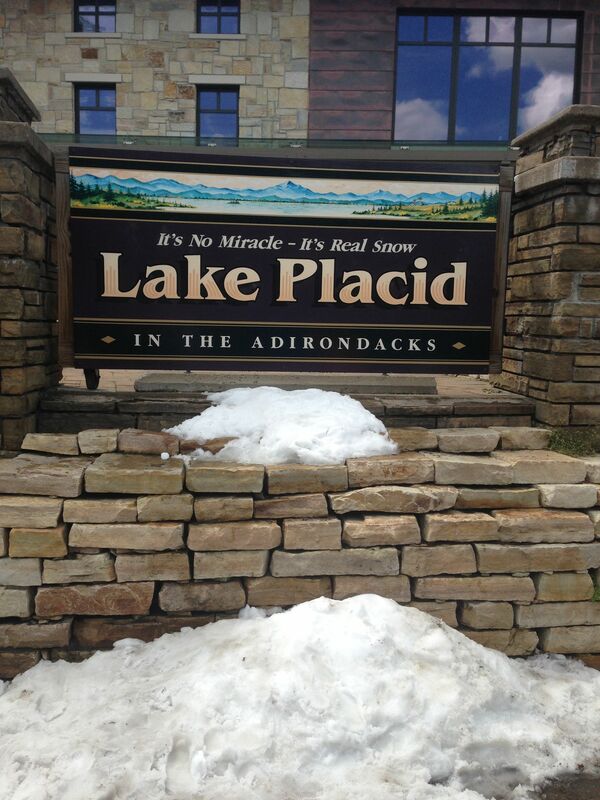 After 4 years off of long-distance triathlons and much debate about whether the 2014 Ironman Maryland was my last race, I am excited to announce that I will be returning to Lake Placid, NY on July 18, 2018 for the 20th Anniversary of Ironman Lake Placid (and my 10th anniversary of being an Ironman). My training plan will not officially begin until January 2018. 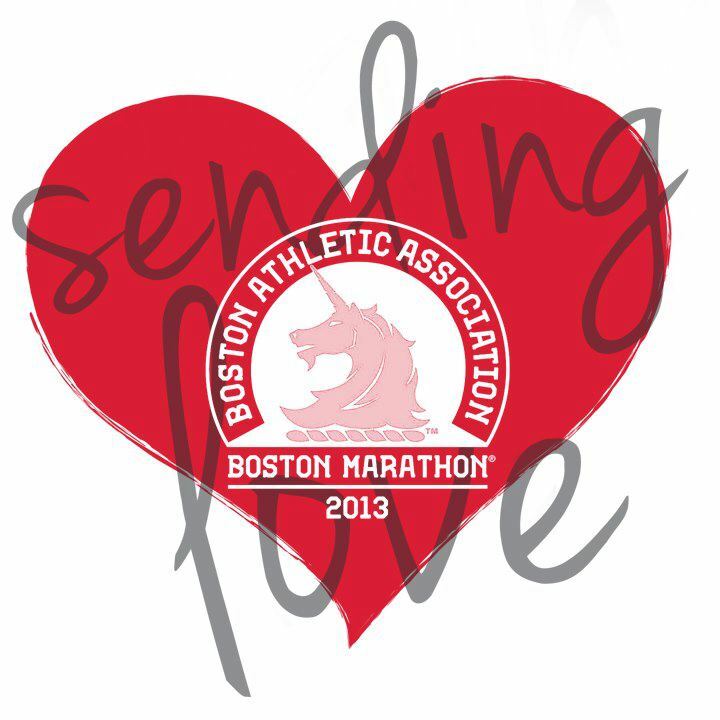 In the mean time, I’m keeping focused on running (with the Heartbreakers in Boston) and strength training. While on a hiatus from Ironman triathlon for the past three years, I have not been a complete couch potato. In between a few half marathons, I’ve been spending a fair amount of time applying the lessons I’ve learned from Ironman to my life at work. 2014 not only marked my 5th Ironman race, but also my shift from West Coast startup life back to East Coast corporate life. 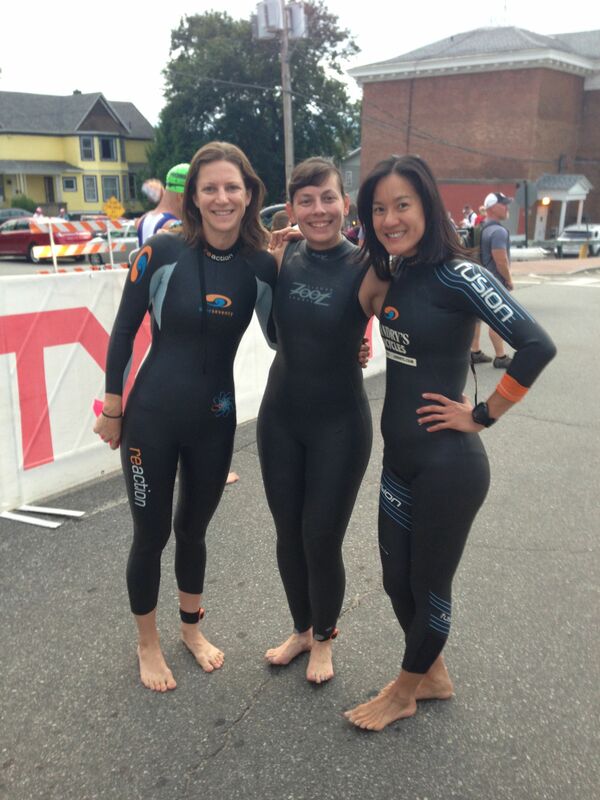 I love thinking through how my triathlon life can positively influence my success within IBM. For my “pre-training” mode through the end of 2017, I’ll be publishing a 10-part series on lessons from triathlon applied to business life. You can also catch up on some of the fun I’ve had mixing triathlon, running, and work together over the past 3 years with these highlights from IBM projects with USA Cycling, Runkeeper, and Simon Wheatcroft. Categories: IMLP, Races, training | Permalink. I completed my fifth Ironman race on September 20, 2014. I finished the 140.6 miles in 14 hours and 2 minutes. Overall, the day was nearly perfect – the weather was mild and my parents plus a couple good friends were there to support me. The course played to my strengths – and I crushed the flat bike course in 6 hours and 21 minutes – almost 30 minutes faster than my best time for 112 miles. Unfortunately, somewhere between the end of the bike and start of the run, I lost my focus and slogged through the 3 loop, 26.2 mile run. I crossed the finish line feeling ill. In fact, just after my finishing photo was snapped, I began vomiting. The illness continued for 2 days post-race and my dismal run performance left me questioning why I was doing all this training and racing. Had I reached my the limits of my physical capacity? Did I have to resign myself to being a horrible runner? Was it time to hang up the Ironman medals and call it done? 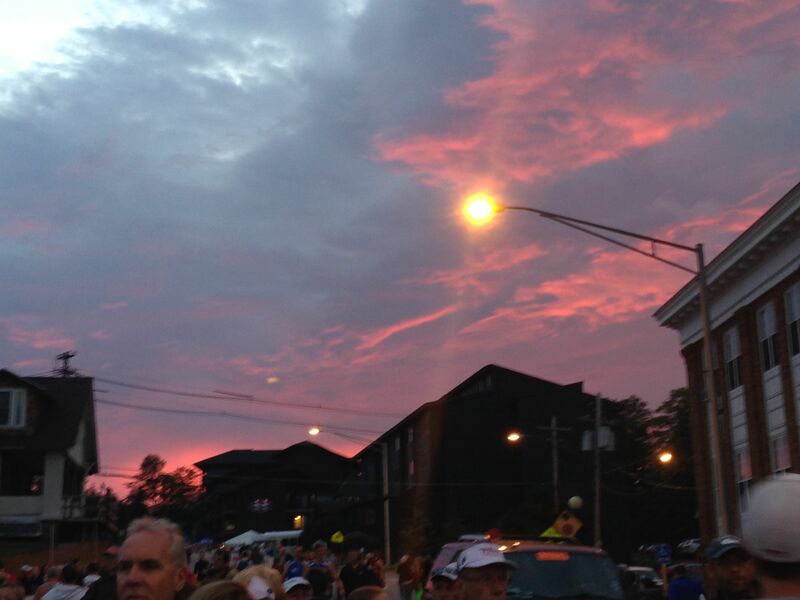 Was Ironman Maryland my 5th and final Ironman? Before I reveal those answers, here are few more highlights from race day. Loved: The timed swim start and a good temperature. Hated: The Delaware Choptank river lived up to its name. The swim was choppy and long. 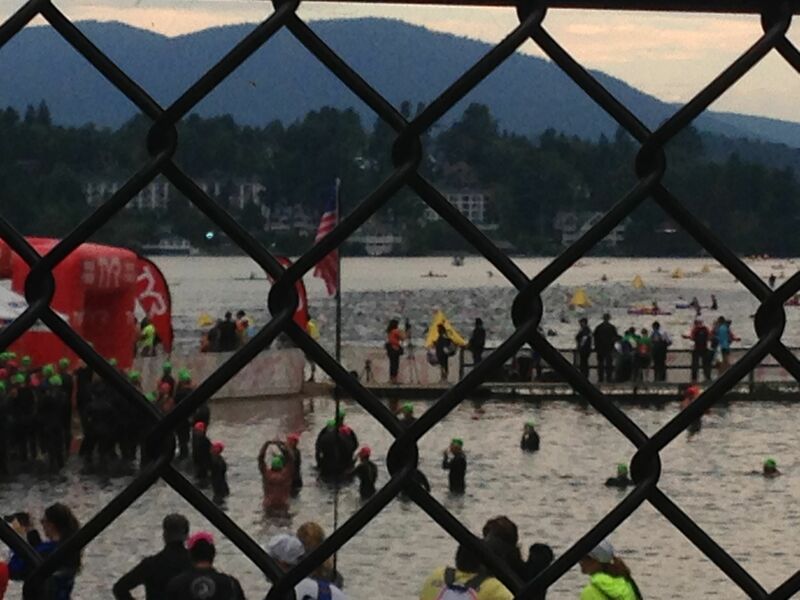 My swim time was so much slower than usual, it did entice me to read through the race chatter on Slow Twitch to find out if the course was long or it was all current related. In the end, tough to say…but at least many felt the same and I placed well with the slow time. Learned: Times can be relative based on conditions and the overall field of competitors. Loved: Flat, flat, flat course! So fun and fast. Perfect for my strengths as a cyclist and all my training rides in California on the Silverado trail paid off! My fastest time yet at 6:21. Hated: Wind. On the second loop, a slight headwind picked up and made the final, always grueling 20 miles, that much tougher. Learned: Training on terrain similar to the course really pays off. Loved: Nothing much this time around…except maybe seeing all my Ironman staff buddies. After years on the triathlon scene as a participant, volunteer, race staff member, and entrepreneur, I’ve got a strange little group of acquaintances who are actually running each race. Hated: The endless out and back loops. The cobblestone section of the street. Myself for not taking my bottle of scratch from transition. Missing seeing my support crew on the first loop. Learned: Some days you just don’t have anything there to push. No matter the games I played (run the the aid station then walk or run 5, walk 1), I couldn’t get into the groove and run. It’s OK. What’s most important is you still figure out a way to get it done – and I did. Time: Let’s not talk about it, ok? Was Ironman Maryland my 5th and Final? After 2+ years off of long distance racing, lots of time focused on running (thanks to the Heartbreak Hill Running Club in Boston), and an upcoming milestone birthday….IM Maryland will not be my last race. 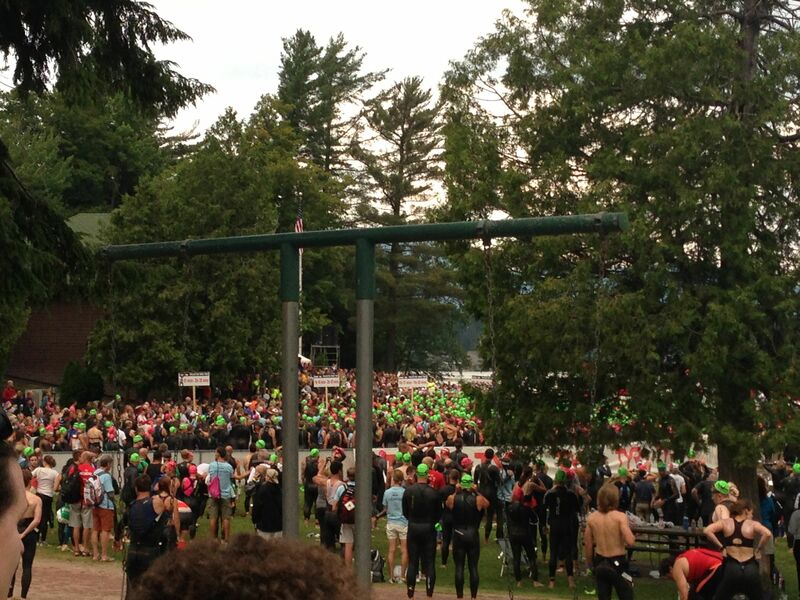 I signed up for Ironman Lake Placid 2018! Time to go back to where it all began: Where I fell in love with long distance racing, challenged myself in ways I never expected, and built a community that now stretches from DC to Boston to San Francisco and back. No need to resign myself to being done. I’d rather end my Ironman career with purpose and a party. Look for more posts starting in 2018. Categories: Races | Tags: IMMD | Permalink. Swim done, onto the bike! Sara is doing great! We saw her somewhere between 745-750am smiling as usual. She completed the swim in 1:12:26, and spent 8:41 in transition. One note – the IronTrac and ironman.com’s athlete tracker are both (quite a bit) behind. Bear this in mind if you are watching live. Hoping to catch Sara on the first bike loop in a few hours! Will try to keep you updated with pics if possible. Best-friend Mona here serving as your guest blogger for the day! I’ll be trying to update periodically. First and foremost let’s talk weather. The weather situation is a bit tentative at best. Forecast calls for rain in the afternoon through the evening. 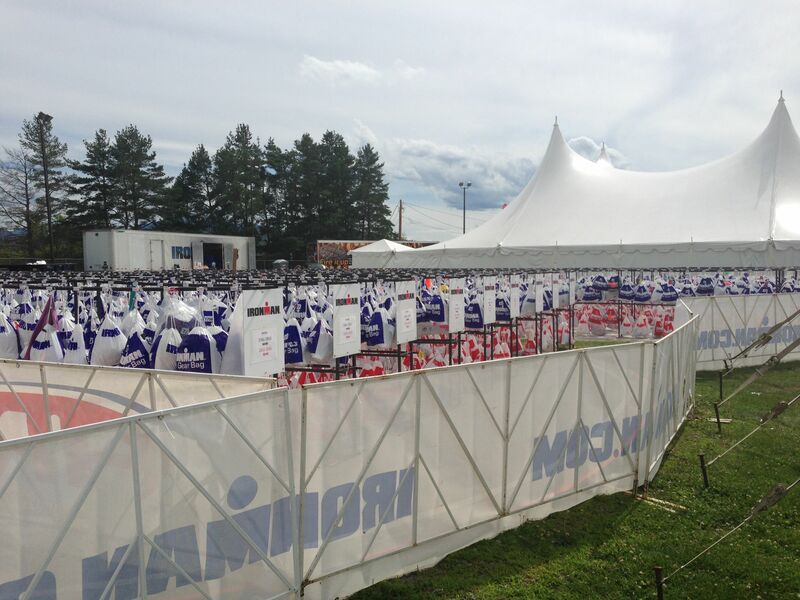 This is starting to remind me of spectating at the 2008 IMLP! I’m still hopeful the rain will hold off. This was the view this morning as Sara was getting marked. That’s about all for now. Sara has shared some of her racing goals with you all, and again I’ll be updating as I can. If I can make one recommendation to any of you tracking more than one athlete – you MUST download IronTrac ($0.99) for the iPhone. You can input several bib numbers and track to your heart’s content. I will leave you with a few pictures for now. See you all in a few hours! Race strong! 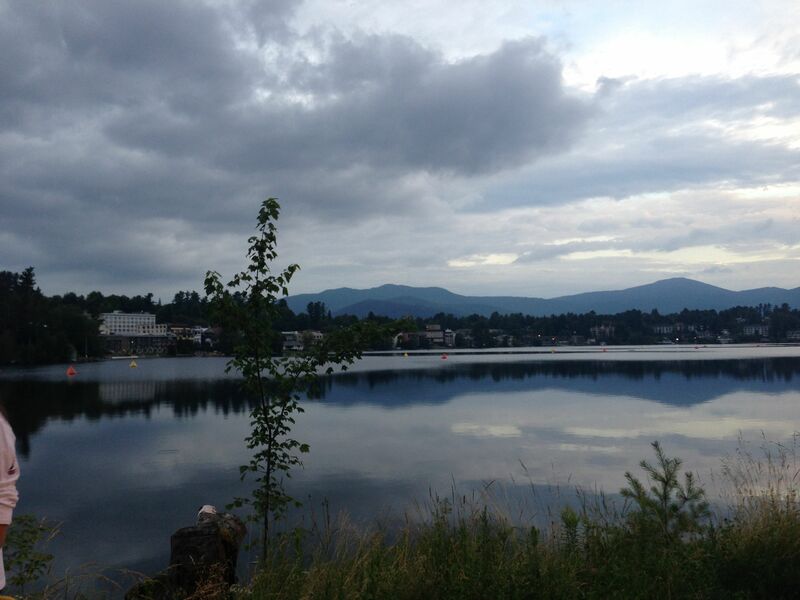 A quick last minute decision – race the Monte Rio Olympic Distance triathlon on June 2nd. I signed up about two weeks before the race. I figured, it would be good to get one race “practice” under my belt this season before Ironman, especially if I want to better at IMLP this year. Plus, the race was a new addition from the team that runs Vineman – and lots of my friends from Golden Gate Triathlon Club (GGTC) were participating. The race was sandwiched in between a perfect Northern California weekend. On Saturday, my friends Ann, Heather, Rachel and I cycled near Monte Rio – tackling most of the Levi’s Grand Fondo Medio Route which includes a stretch of Highway 1 and a climb up Coleman Valley Road. Post race on Sunday, we spent some time at a pool, then Stonestreet Winery and finished with dinner at Chalkboard – a new restaurant in Healdsburg (fresh crab and tater tots, yum!). The race was great! It was a perfect course for my strengths. Here’s a quick recap. The race definitely reinforced that my training is on track and I am getting stronger. It helped me think about where to spend the next 5 weeks before IMLP too. I’m excited to see if I can put a little more rigor into the run like I have on the bike. The race also reminded me to push myself a little harder – if I’m swimming laps in the hotel pool after the race, I might not have pushed hard enough! Categories: FamilyFriendsFans, IMLP 2, Races | Tags: ggtc, olympic | Permalink. Categories: Races, travel | Permalink.